My goal is to listen carefully to where the client wants to go, help them formulate a strategy for getting there, identify potential issues and opportunities that impact getting to that goal and deliver the client to their goal in the most cost-efficient manner possible. John A. Thomson, Jr. has advised clients on commercial litigation and bankruptcy matters for more than 30 years. He represents clients in matters related to commercial finance and debtor/creditor issues. 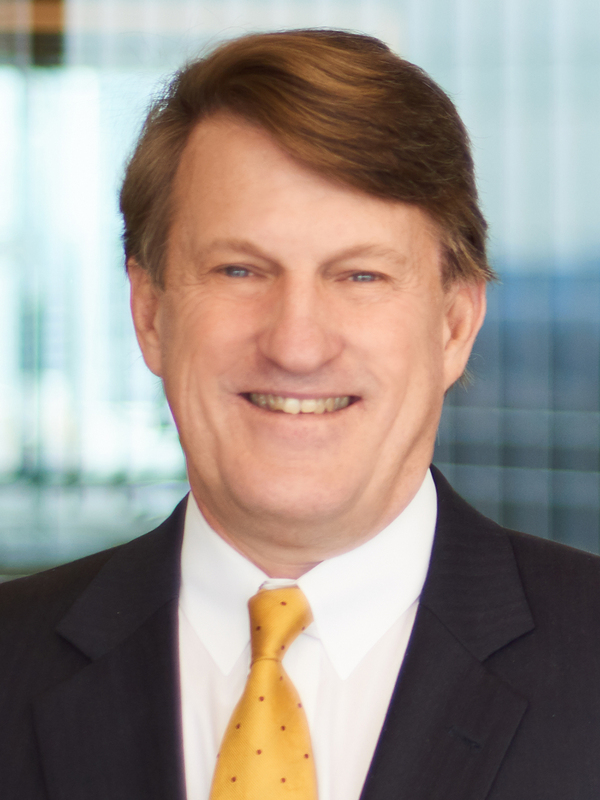 John has served in a broad range of roles in the bankruptcy courts, including counsel to secured financial institutions, indenture trustees, commercial trade creditors, life insurance companies, private equity investors, and purchasers of distressed debt in all facets of commercial bankruptcies. John has served as counsel to a number of Official Committees of Unsecured Creditors, and has served as Chapter 11 Trustee for a healthcare operating company. John’s litigation work has included litigating matters in actions arising out of breach of contract, shareholder disputes, valuation of real and personal property collateral, the appointment of receivers, declaratory judgment actions related to bond issues, leases of commercial property, real estate development ventures, repossession of commercial collateral, and execution of judgments. In addition to his litigation and transactional skills, John is a graduate of the American Bankruptcy Institute’s Mediation Training at St. John’s University, and he is qualified as a mediator in disputes arising out of bankruptcy and creditors’ rights matters. Consumer Panel: Fiduciary Exceptions to Discharge with a Focus on Defalcation, Emory Bankruptcy Developments Journal Symposium, February 2013. Short Sale Issues and Strategies, Real Property Foreclosure Seminar, State Bar of Georgia, Real Property Law Section, November 2011. Post-Confirmation Chapter 11 Issues: Continued Bankruptcy Court Jurisdiction, Plan Consummation, Case Closing, Litigation Issues, and Plan Enforcement, Consumer and Business Bankruptcy Seminar, State Bar of Georgia, Bankruptcy Law Section, November 2011. Developing Effective Workout and Litigation Strategies: Avoiding Litigation If You Can and Maintaining a Strong Position If You Can’t, Workouts and Remedies in Real Estate Conference, September 2008. Bankruptcy Law Update, State Bar of Georgia, Bankruptcy Section, 2008. Distressed M&A Transactions: Asset Sales from Bankruptcy Estate, 4th Annual Southeastern M&A Forum, September, 2008. The Changing Face of Intra-Enterprise Conspiracy Under the Sherman Antitrust Act, 19 6a. L.Rev. 189. Contesting Georgia State Tax Assessments: The Tax Battleground of the 1990's, 39 Atlanta Lawyer 20 (1993). John is a Fellow of the American College of Bankruptcy, inducted in 2013. He is the past President and Chairman of the Board of the Southeast Bankruptcy Law Institute, and the former Chair of the Atlanta Bar Association Bankruptcy Section (2013-2014). John is also a Master of the W. Homer Drake Inn of Court. Finally, he is a member of the Bankruptcy and Litigation Sections of the Georgia Bar Association, and, a member of the American Bankruptcy Institute Committees on Finance, Banking, Real Estate and Asset Sales. "In Light of 'Lakeridge,' What's the Appropriate Standard of Review in Future Appeals?" Which Financial Representations Will Justify a Discharge Objection after Lamar, Archer? Represented clients in a wide variety of commercial bankruptcies, dealing with issues related to use of cash collateral, imposition and lifting of the automatic stay, debtor-in-possession financing, sales of assets from the bankruptcy estate, contested confirmations of plans, the role of indenture trustees in bankruptcy proceedings, and adversary proceedings arising out of a variety of avoidance claims. Has transactional experience assisting clients with analyzing, assessing and restructuring a wide variety of defaulted loan assets and bond obligations, including large commercial enterprise loans, asset-based loans, commercial real estate loans, syndicated debt and assets subject to trust indentures, with particular experience in resolving defaults arising out of loan and bond obligations of large non-profit entities. Served as debtor’s counsel in several Chapter 11 reorganizations. Served as counsel to the Committee of Unsecured Creditors in several bankruptcies. Developed years of experience in federal and state court litigation involving creditors’ rights issues, regulations affecting financial institutions, the defense of class action and multi-district litigation regarding alleged violations of the Truth-in-Lending Act, the Real Estate Settlement Procedures Act, predatory lending statutes, commercial paper and depository items under the UCC, and commercial lending liability actions.